(NO PUBLIC MEETING IN January or July). … this is now being kept up-to-date ! Most workshop instructions are free, but you will be required to pay for the material you use. At times we are able to get a master or instructor for a special workshop or demonstration, and there will be a fee for those events. We try to keep the cost down so everyone can afford to join in. Typically a workshop is limited to ten people and will cost between $25-100, depending on the materials used. 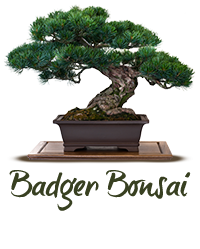 • A three (3) session course on Bonsai, begins Thursday Apr-4th; with session 2 on Apr-18th, and the final session 3 on Apr-25th (each from 6pm to 8:30pm at Klein’s Floral and Greenhouses, 3758 E. Washington Ave, Madison, WI 53704. Full details can be found at this link. May 18, 10 a.m. – 5 p.m.
May 19, 10 a.m. – 4 p.m. If you are headed to the show in Chicago, tell your fellow club members and meet up and enjoy the show together. January 12: Time once again for the annual dinner. February 9: Time to start thinking about the upcoming Bonsai season. This month we’ll overview a handful of basic equipment and discuss how to get started on the right foot. March 8: Time to repot. Last year we went in-depth into our soil. This year we’ll get back to techniques. We’ll try to answer the how’s and the why’s. April 5: April will be a good month to review the different styles of bonsai. This will be somewhat of a general overview. The goal will be to understand how bonsai can represent “wild” trees. May 10: In preparation for the annual show, we will examine Bonsai judging and consider what makes a tree great. This will build off of the April’s lecture on the styles and provide insight on how to refine a tree once it begins to take form. September 13: Show and tell. Club show and critique. October 11: Preparing for winter, as usual. November 8: Officer election time. December 13: Holiday party at Olbrich. Annual Dinner at Imperial Gardens. As is customary, we will meet at Imperial Gardens West at 6:00 for drinks and fellowship, and then eat at 6:30. This is a “member and guest” event. Several small door prizes will be raffled out during the evening. We will focus on the name and function of Bonsai tools and discuss and demonstrate proper care for them. Please bring all tools to meeting. Someone might sharpen them for you. The focus will be on media and technique. Also a brief discussion of hydroponics and pre-bonsai is very possible. Show preparation, what makes a bonsai display complete? Nursery Hunting part 1; introduction, the goal. We will discuss what to look for at you local garden centers, possibly plan a field trip. We will discuss growth characteristics and common suitable species. Assignment: bring a nursery plant to the next meeting. Nursery hunting part 2; The Trees, Choosing a style, when to repot. We will briefly introduce and discuss our “diamonds in the rough” and consider general styling and requirements per tree. Annual Show at Olbrich Gardens! Ficus or Schefflera root over rock demo. Two tropical species that are great for beginners and have fairly hardy roots. Get advice and/or a fresh perspective. Having trouble deciding what direction to take with a tree? Maybe we can help, any tree, any style, bring it. Bring in you Natal Plum from last year. Be prepared to talk about it and get advice for the next year. Don’t have one? Start a new one. Oh, winter. Let’s discuss techniques we can use to help our trees survive in Wisconsin. Let’s also talk about the indoor trees and artificial environments. Feature element: Your best holiday treat to share. This will be a paid participation event held at Olbrich Gardens from 1 p.m. – 3p.m. We will keep the cost below $25 for the plants and pots. Limited to members only. (or those who signed up on March 11th). Contact info@badgerbonsai.net for more information. All members should bring at least one example from their collection. Attendance is free, donations are welcome. Demonstrations will be held both days at 10 am and 1 pm. More information is available in the 2010 Annual Show page. In Japanese folklore, tanuki (狸?, alternatively タヌキ), the Japanese raccoon dog, are shape-changing tricksters. Tanuki bonsai are sometimes known as Phoenix Grafts in the West. In Tanuki bonsai, a very young tree is taken, and put into an interesting piece of deadwood, that has had a groove carved into it. The sapling (which is usually a juniper) is affixed to the deadwood, until the young tree has grown into the deadwood. Then the nail, screw, or other affixing device is removed, and then the tree is grown with typical bonsai techniques. OPEN TO MEMBERS ONLY – Private invitations to be emailed to members. This is a new event we are trying this year. Members only participation. The public is welcome to attend but entering trees and providing critique will be limited to members only. Leaves are falling all around… clean up your bonsai and get ready for winter. Being ready for winter storage and dormancy by Thanksgiving should be your goal. The larger your bonsai collection, the earlier you should start. This is the yearly business meeting for the club. We hold nominations/elections for officer seats. We will also begin mapping out the 2011 activities calendar. Ron showed club members various carving techniques using hand and power tools. At the March meeting we will focus on repotting your trees and the different soil make-ups for different types of trees. We will also discuss the benefits of proper fertilization, and the components that make up common plant fertilizer. As spring starts to pop, some trees are ready for attention. Bring in your tree(s) to work on in a group setting. Ask questions, get advice & have fun. We will also discuss proper dressing of cuts/wounds and the benefits of cut paste and wound sealer. The club will hold a workshop this evening that will run until 9 pm. Participants can purchase plant material to work on – either Kingsville Boxwood (Buxus microphylla compacta) or Shimpaku Juniper (Juniperus chinesis). The event will be open to the public, but club members have priority seating. If you are not working on a tree, this is still a wonderful opportunity to watch others as they prune, style and wire trees. However, it’s also a chance to get your hands on mature bonsai material. The boxwoods have an estimated age of 15-20 years old and the boxwoods are about 5-10 years old. The trees were lovingly brought up as potential bonsai at Brussel’s Bonsai Nursery in Olive Branch, MS. These are not shrubs that you’d want to put in the ground, they have been given extra special attention to their pruning from the time they were seedlings in order to send them on their way to becoming bonsai masterpieces. Please contact info@badgerbonsai.net if you are interested. Materials can be bought on site, the cost for trees is $80 each – SUPPLIES ARE LIMITED. For August, the club will be taking a group trip to the WI State Fair in Milwaukee. The state fair has a bonsai display in the Horticulture Building with approximately 20-30 show quality trees. MEETING AGENDA: View and critique the Bonsai on display, observe the judges critiques and try to see what the judges saw. Hope to see you there! Please bring in your own tree(s) to work on. With fall just around the corner, September can be a good time to do some last minute pruning, wiring and winter preparation. Remove wire before it cuts the bark, remove undesirable branches to conserve energy next spring. All club members are encouraged to bring at least one tree to work on and visitors are welcome to bring in a tree and ask for advice. This is a great opportunity for novices to pick up new skills and information. Bring in your own tree(s). Leaves are falling so the cold is coming! In October, we will discuss overwintering techniques for WI bonsai. What might work in California just won’t keep a bonsai alive through a Wisconsin Winter. And remember, next moth is officer elections. October is a good time to put your name in the hat for next month. This is the yearly business meeting for the club. We hold nominations/elections for officer seats. Our club president is stepping down from his post after 2009, creating a unique opportunity for someone to fill the roll. We will also begin mapping out the 2010 activities calendar.